CONTROL COSTS - CONTROL CONSUMPTION - GUARANTEED! Loomix® Supplements are specifically designed to enhance the productivity of the ruminant animal and have been shown to increase fiber digestion by up to 34% with a patented consumption control method to help keep your cattle looking healthy and producing beef at a lower cost to you. All Loomix® Supplements are fed in an open top trough for a more even supplementation. 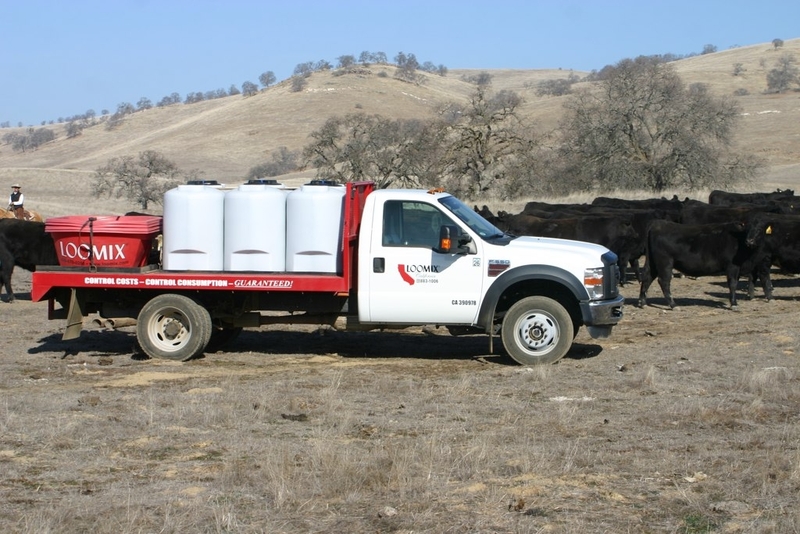 Loomix® provides several options of products for the ruminant animal, all dependant on your resources and operational goals. (ADM) turn crops into renewable products that meet the demands of a growing world. At more than 265 processing plants, we convert corn, oilseeds, wheat and cocoa into products for food, animal feed, industrial and energy uses. We operate the world’s premier crop origination and transportation network, connecting crops and markets in more than 75 countries. , visit www.adm.com. 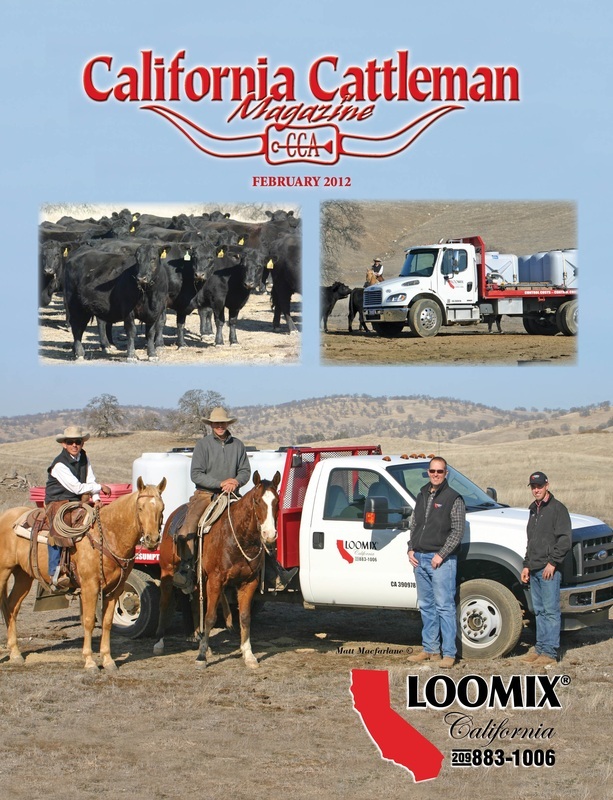 Featured in February 2012 California Cattleman's Magazine. Loomix® is the liquid feed industry innovator that all the other companies compare themselves to. Don't be a follower - go with the industry leader! Increase your margins - feeding Loomix® has been shown to increase fiber digestion up to 34%. You can utilize lower quality feed and increase your gains - saving you money. Unparalleled customer service combined with cost and consumption guarantee. In addition to the standard line of products, Loomix® offers the only plant based, high fat inclusion (12%), chelated trace mineral, fortified liquid feed on the market.